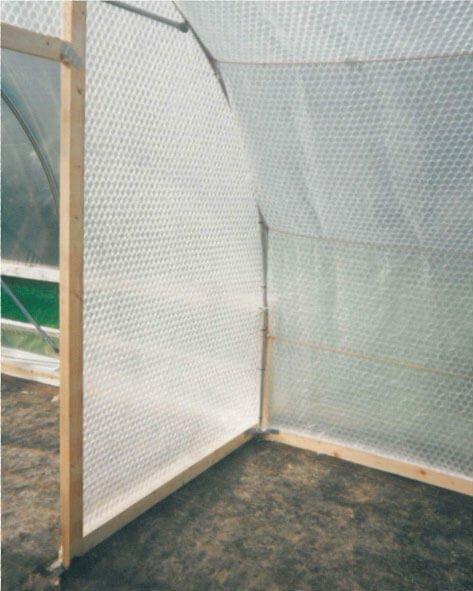 Home Knowledge Maintaining your Polytunnel Bubblewrap your Polytunnel for Winter. Delicate plants often need help through the winters coldest spells when the sun is at its lowest and here’s a little tip that could make a big difference. Another great idea is the mini polytunnel – Be prepared for the colder months ahead. If you have frost-sensitive plants inside your already existing Polytunnel, why not use a mini Polytunnel a bit like “double glazing”. A polytunnel inside a polytunnel with a few tea lights scattered around to keep the temperature just right for your tender crops. Neat idea! I never thought of using tea lights. I’ll certainly give that idea a try. Brilliant.